No kidding. We read Louis Vuitton is dishing out a luxury Jenga set. And this being LV, this luxury take of Hasbro classic tabletop game is no cheap wooden blocks. Instead, they are of plexiglass cubes with, you guessed it, LV monogram. Plexiglass? Not quite the material choice for something that will constantly fall over, does it? 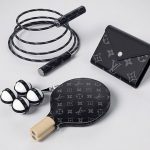 I have to admit, I never expect a Jenga set from the Parisian fashion house, but since now we heard there is one (or going to have one), I was expecting nothing less than wooden blocks wrapped in classic LV monogram leather. 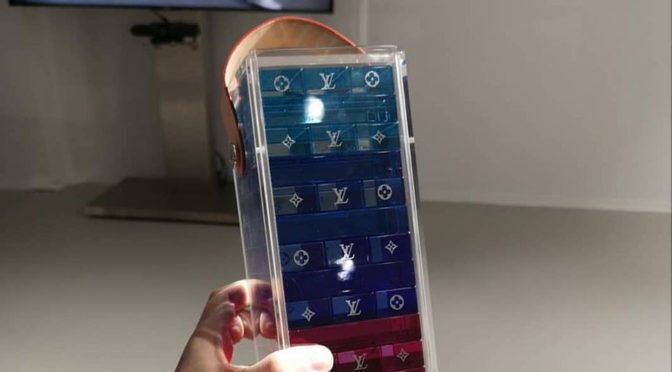 But the truth is, little is known about this so-called Louis Vuitton Jenga Set. All we get now are words from our source which also indicated that it is rumored to retail for around $2,460. Yikes. Well, that kind of makes the Louis Vuitton Horizon Earphones sound like a bargain. I guess this is part of the effects when Virgil Abloh helms the artistic department. That said, I am beginning to believe that avant-garde designs (read: wacky) are the future of mankind’s fashion. Not because of Balenciaga. Balenciaga is next level stuff when it comes to goofiness. Anyways, LV is not far behind either. It has a neon color changing duffel, a luxury take of Batman’s utility belt (kind of…) called Trio Trunk Belt v2, an incredibly chunky suede-like backpack that looks like it belongs to the Hulk, and a pair of kicks loaded with LEDs that has changing long on the tongue. Now, that sneakers there sound just about right fit for a cyberpunk future. 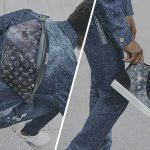 Like I have said, LV is still far behind Balenciaga in the wacky department, but at the rate it is going, it’d be catching up soon. 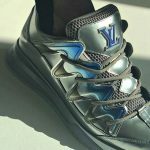 Louis Vuitton’s New “Zig Zag” Skate Shoes Are Really Super Chunky! 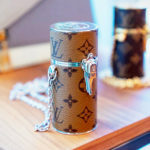 Will You Buy A Louis Vuitton Lipstick Case That Costs A cool $1.4K? Previous PostThis is MOMENTUM, Sennheiser’s First True Wireless EarbudsNext PostThe Fine Print On This Coyote Warning Sign Will Crack You Up!